Toronto, ON – June 28, 2017: 5050 Central Ltd. (“the Company”), a wholly-owned subsidiary of Gaming Nation Inc. (FAN-TSXV), is pleased to announce that the Company has entered into a strategic partnership agreement with Van Wagner Sports & Entertainment (VWSE) to promote and market its industry leading, 5050 fundraising platform to its collegiate properties. VWSE is a full service sports and entertainment firm, working with professional and collegiate teams, leagues, brands and properties, providing deep expertise in sales, marketing, content creation, activation and consulting. VWSE is also a leading collegiate multimedia rights holder and campus marketing partner in the college space. The Company focuses on sponsorship and media sales and is known for developing creative on-campus marketing programs for brands. 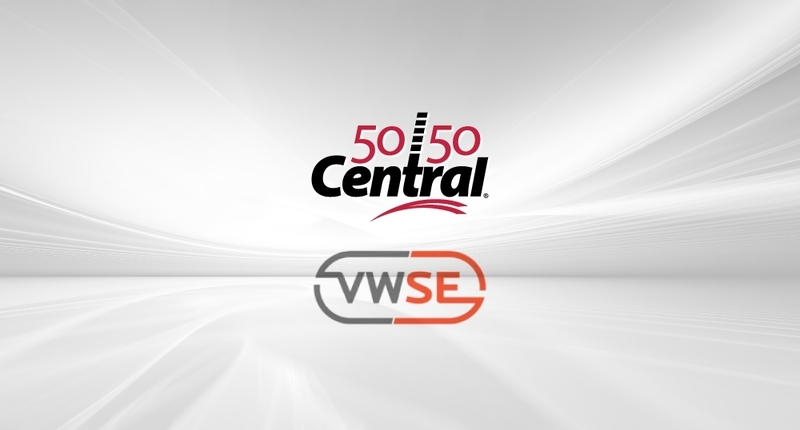 The agreement will see VWSE use 5050 Central’s digital 50/50 raffle platform as a beneficial tool to assist in supporting their partnered Universities’ fundraising efforts – including academic and athletic program support, grants and scholarships. The platform will also serve as a unique sponsorship asset for each participating school. "We are very pleased to partner with Van Wagner and its stable of collegiate properties to provide them with our industry leading raffle technology that will provide a new revenue stream for the Universities and a valuable marketing asset for each school's respective sponsors", said David Bertram who recently joined 5050 Central to help develop the U.S. collegiate sports business. “Consistent with our commitment to serve to provide unparalleled revenue and fan engagement services with our partner institutions, the 5050 Central raffle technology will not only help generate critical dollars for scholarship and program support for our partners, but it will also deliver a unique platform for sponsorship, data enhancement and add to the overall Game Day experience”, said Mike Palisi, Executive Vice President of VWSE. 5050 Central Ltd., a wholly owned subsidiary of Gaming Nation Inc., is an electronic raffle software system that drives consumer participation in raffle events while providing accountability to the raffle process. The 5050 Central system electronically captures every transaction while providing updated real-time raffle information to display devices located throughout the venue. Tickets are sold to fans through fixed touch-screen terminals and mobile devices, creating an effortless data collection system providing faster sales transaction, longer selling periods, accountability and substantial increases in average raffle proceeds. 5050 Central boasts some of sports' most iconic brands as clients, with partners across the sports landscape including MLB, NFL, NHL, NBA, MLS, NLL & CFL as well as several NASCAR events, PGA tournaments and NCAA institutions. Certain information set forth in this news release contains forward-looking statements or information ("forward-looking statements"). By their nature, forward-looking statements are subject to numerous risks and uncertainties, some of which are beyond Gaming Nation Inc.'s control, including the impact of general economic conditions, industry conditions, currency fluctuations, operational risks, competition from other industry participants, stock market volatility, and the ability to access sufficient capital from internal and external sources. Although Gaming Nation Inc. believes that the expectations in its forward-looking statements are reasonable, its forward-looking statements have been based on factors and assumptions concerning future events which may prove to be inaccurate. Those factors and assumptions are based upon currently available information. Such statements are subject to known and unknown risks, uncertainties and other factors that could influence actual results or events and cause actual results or events to differ materially from those stated, anticipated or implied in the forward-looking statements. Accordingly, readers are cautioned not to place undue reliance on the forward-looking statements, as no assurance can be provided as to future results, levels of activity or achievements. Risks, uncertainties, material assumptions and other factors that could affect actual results are discussed in our public disclosure documents available at www.sedar.com. Furthermore, the forward-looking statements contained in this document are made as of the date of this document and, except as required by applicable law, Gaming Nation Inc. does not undertake any obligation to publicly update or to revise any of the included forward-looking statements, whether as a result of new information, future events or otherwise. The forward-looking statements contained in this document are expressly qualified by this cautionary statement.